Phew it's been awhile since I've been here. 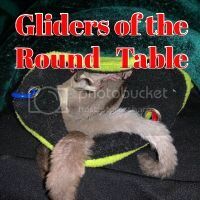 We all know Sugar Gliders and Hedgehogs are on this list, but WHERE is this list? I'm having trouble locating a complete list of the Restricted Species. Anyone have a link to a complete list of the Restricted Species? I didn't know of this. What exactly does "Ristricted" mean? There is no sin in being ignorant, there is in remaining ignorant. Last edited by TinaPa; 02/02/12 04:27 PM. The list above is primarily fish (some amphibians) from what I saw. I don't think there is necessarily a national list (other than import/export and sugar gliders are not on that list if coming from/going to legal areas (not Australia, obviously). Otherwise I think it is by state, so if there is a particular area you are interested in, I would start there. It has been a while for me, but I think if you have a USDA book, it lists the species it covers (for that region, anyway). Moving this to Regulations and Laws for you now. If we never loved, then maybe we would never feel pain. Love anyway. It's worth it. Proudly enslaved by lots of silly suggies, 3 crazy kitties, a huffy hedgie, and a pretty puppy! Pretty much everything you see in a normal pet store(such as Petco or Petsmart) is NOT restricted. Exotics, puppies, and kittens are the only restricted animals and that's only if you have 4 or more breeding females. Ferrets, chinchillas, and gophers(yes, it specifically says gophers, lol) are not considered exotics. Sorry, I thought I posted my thread in regulations and laws. What did I post it in? Anyway, I'm looking specifically for African Soft Fur Rats. They're primarily used as a feeder animal for snakes. I breed them as pets and have been since '07 and now, all of a sudden I'm hearing you need a license to sell them in pet stores and they're in the same class as Sugar Gliders. I'm kind of shocked considering I know a large amount of people who breed them and no one has ever heard of this. I knew a few stores that sold them and didn't have a permit of any kind but they did away with them because there was no demand at the time. 0 registered members (), 11 guests, and 76 spiders. 20,217,735 I just found a lump on Timmy's chest--HELP!